A new study on teen social media use conducted by the Pew Research Center finds that Facebook is falling out of favor among teens, but alternatives such as Snapchat, YouTube, and Instagram are growing in popularity. YouTube is the number one online platform used by teens, with 85 percent reporting that they use it. Instagram came in second at 72 percent, followed by Snapchat at 69 percent. Meanwhile, 51 percent of teens said they used Facebook -- a big change from 71 percent in 2015, when Pew conducted its last study. Only 10 percent of teens said Facebook was their most visited site. 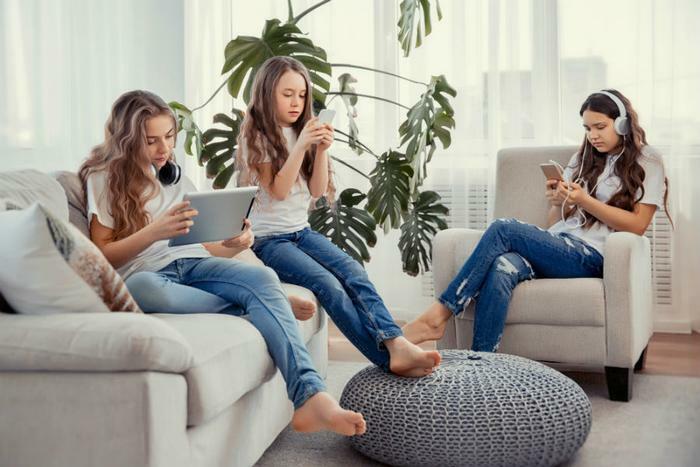 "The social media environment among teens is quite different from what it was just three years ago," research associate Monica Anderson, the lead author of the report, said in a statement. "Back then, teens' social media use mostly revolved around Facebook. Today, their habits revolve less around a single platform." Nearly half of teens said they’re online “almost constantly” -- up from 24 percent in 2015. The number of teens with the ability to access social media on-the-go has also increased. Pew found that 95 percent of teens have a smartphone or access to one, compared to 73 in 2015. However, teens have mixed views on whether being constantly connected through social media is good or bad. Thirty-one percent reported a mostly positive effect and 24 percent cited a mostly negative effect. Around 45 percent said they didn’t think social media had a positive or negative impact. Teens who reported a more positive effect noted that social media fosters connections between friends and family. On the flip side, those who said it has a negative impact pointed out that bullying and rumor-spreading can run rampant on social media sites. Here are a few remarks from teens who believe social media has a more positive impact. “I feel that social media can make people my age feel less lonely or alone. It creates a space where you can interact with people,” said a 15-year-old girl. “We can connect easier with people from different places and we are more likely to ask for help through social media which can save people,” said another 15-year-old girl. “People can say whatever they want with anonymity and I think that has a negative impact,” said a 15-year-old boy. “Teens are killing people all because of the things they see on social media or because of the things that happened on social media,” said a 14-year-old girl.